A beautiful pearl pendant with a gorgeous centerpiece! 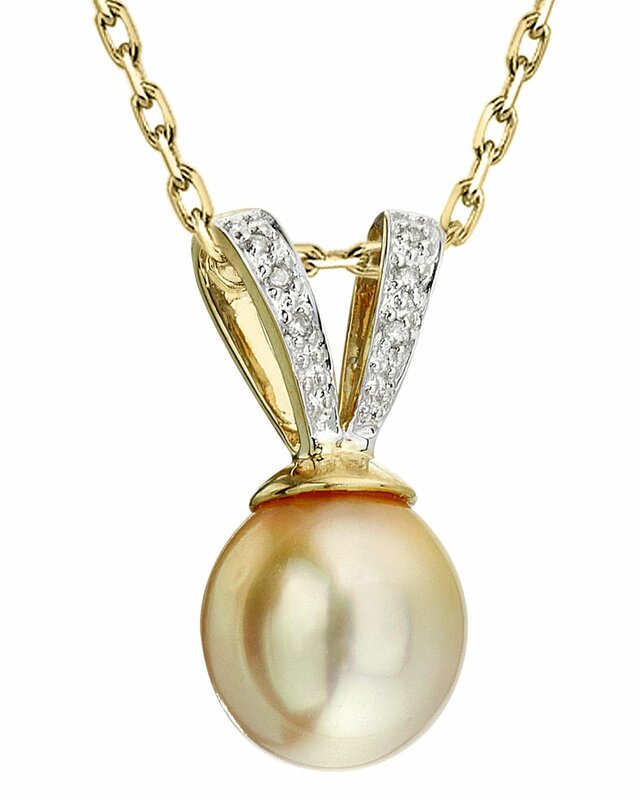 This remarkable 14K yellow gold pearl pendant has a beautiful Golden South Sea pearl adorned lightly with 6 beautiful SI quality sparkling diamonds. This piece displays the true beauty of Golden pearls without compromise. If you have any questions, feel free to call us anytime at 866-87-Pearl (866-877-3275). I appreciate the honesty and quality jewelry. I always feel confident with my purchases.